With the addition of the speed control numbers I believe I have finished this FWEW BMY. They look great over black powder. Thanks Lane! Brass bearing cover, grommets, and rubber feet via Darryl Hudson. 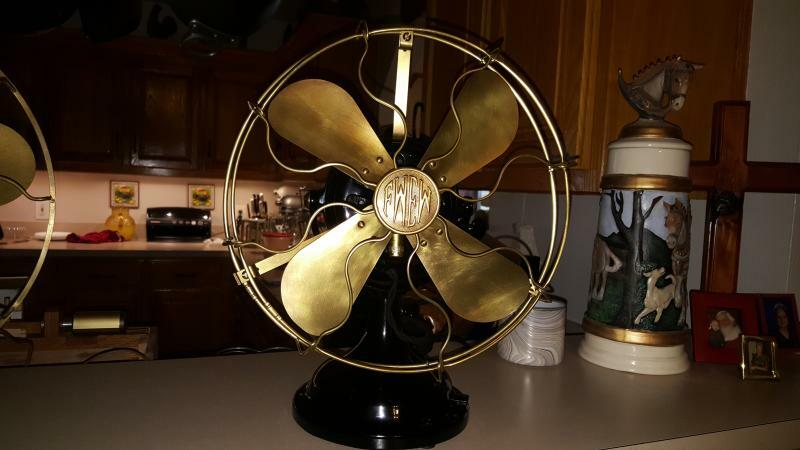 I have the kidney version of this fan. It's awesome and currently my daily runner. Nice job on the restoration! 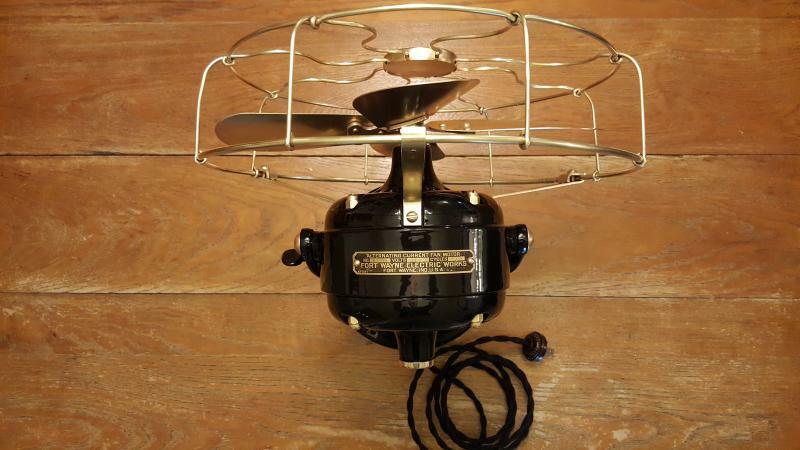 Very pretty fan, the drop ring cage is gorgeous. Congrats on a really nice fan. I love that powder coating. Do you do that yourself or do you have it done? Is it expensive? It makes for a flawless paint job. Love it. I love the powder too! I did not do the powder though. I took it to a custom motorcycle shop; Crush at metroplexkustoms in Arlington, Tx did the work. It wasn't cheap but not outragious for the quality,. Just a schose over 200. He did a "powder primer" zinc based IIRC before the gloss black. I've done rattle can jobs on other fansI have been happy with but for this one I wanted something more durable so I bit the bullet and had a pro powder it. I am hooked on powder now so I am slowly kitting up to do it myself. The boss lady wants a new oven so I have a powder oven coming, just need to save the nickels for the rest. Great looking fan, Good job! 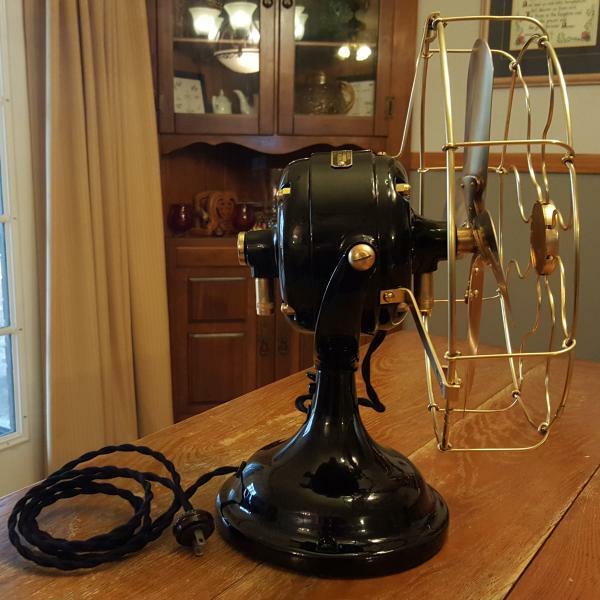 This fan is a stunner and based on my (limited) experience one that is very hard to come by. 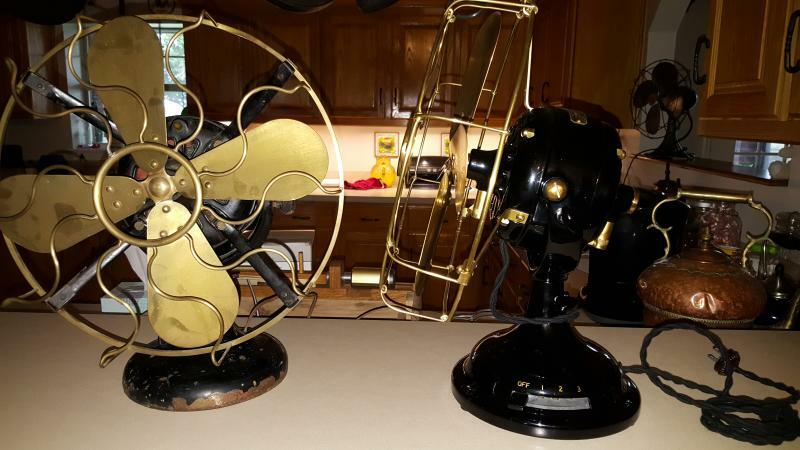 I would absolutely pay the $200 for the powder coat job if I had a "special" fan. On black fans, I have been using an appliance epoxy paint which is more durable than regular spray paint. It takes longer to dry (a full day) but like I said, it is more durable than regular spray paint. By special I mean something along the lines of a pancake fan which I haven't found yet. But then I still work for a living (65 years old this year) and don't have the time to devote to go to a lot of flea markets and estate sales. Love the restoration on your FWEW BMY!I just found one but unfortunately it was missing the cage and cage badge. Know of anyone that reproduces or has the FWEW badge? Page processed in 0.1709 seconds (15% database + 85% PHP). 27 queries executed.